skywalk’s team for the Red Bull X-Alps is now more than complete: an exciting mixture of motivated newcomers, cutting-edge World Cup racers, experienced expeditionists, returning favorites – and the most successful pilot in the history of the X-Alps: Christian Maurer. After intensive testing, “Chrigel” has decided to fly skywalk‘s lightweight paragliders for all upcoming Hike & Fly competitions. After intensive material testing this spring, Chrigel Maurer, four times Red Bull X-Alps Champion has chosen skywalk‘s high performance X-Alps glider for the 8th Red Bull X-Alps competition. Chrigel is excited to have teamed up with skywalk and reports: “The right glider is critical for my personal highlight of the season. skywalk‘s X-Alps glider is in my opinion the optimal combination of reduced weight, great gliding performance and agile handling.” The first run-in begins with the Bordair race, tomorrow on the 6th of May starting in Aschau. 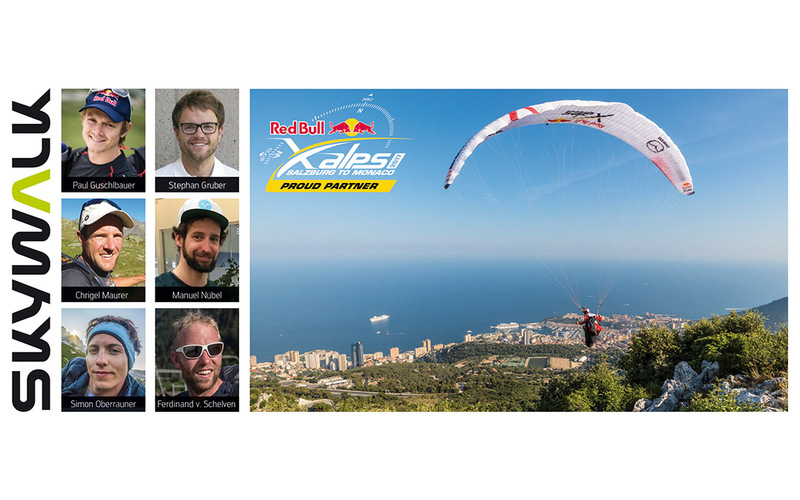 skywalk is supporting a total of six fascinating teams for this years Red Bull X-Alps due to start on the 2nd of July. “Repeat offender” and top favorite Paul Guschlbauer is on board once again, together with Stephan Gruber from skywalk‘s R&D team and the new rookie Simon Oberrauner from Graz who won the complete Bordairline series in 2016. Dutch adventurer Ferdinand van Schelven, veteran of the last two Red Bull X-Alps is also starting for skywalk.